Tax debt is one of the primary types of debt that sends consumers running to their nearest Texas bankruptcy attorney in an effort to find out if bankruptcy will stop the IRS from collecting those tax debts. While the bankruptcy’s automatic stay will stop collection activities from the Internal Revenue Service, there are only certain types of tax debts that can be eliminated or “discharged” in bankruptcy court. With regards to tax liens in bankruptcy, you can’t eliminate them using a Chapter 7 or Chapter 13 bankruptcy, however, bankruptcy can help you discharge other debts and/or pay off the tax debt over time to have the tax lien removed. Be wage-related (personal income tax) or gross receipts (Business income). This means that if you are employed and owe payroll tax or sales tax, it won’t be discharged in bankruptcy. Originate three years or earlier from the time you file bankruptcy. 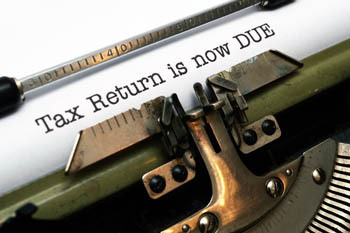 Be recorded by the IRS at least 240 days before filing. Additionally, your tax returns must be up to date when you file for bankruptcy. You’ll be expected to show that you filed tax returns two years prior to filling, and must not have committed any tax evasion or fraud. The bankruptcy rules work differently if the IRS has already placed a lien on your property prior to bankruptcy. To explain, liens are a security interest or a claim against your property, giving the creditor the ability to sell the property if you don’t pay up. An IRS Tax lien once filed and recorded, becomes a secured obligation that must be paid during both a Chapter 7 and Chapter 13 bankruptcy. So you see, it’s tough to discharge taxes in bankruptcy, and many Americans that can’t pay back taxes end up with a lien on their mortgage from Uncle Sam every day. Furthermore, once the tax lien is recorded, it must be paid during your bankruptcy. When filing for Chapter 7 bankruptcy, the IRS will be listed among your creditors. Unless you have significant equity in the home, the bankruptcy trustee won’t sell the home to pay back your creditors, and the original mortgage, as well as, the IRS lien will remain in effect. You will need to find a way to pay the back taxes either by selling the home or establishing a repayment plan with the IRS to pay the balance due. When filing Chapter 13 bankruptcy with tax liens, they are treated much the same way as in Chapter 7: Chapter 13 bankruptcy will not get rid of your lien, but it can allow you to pay the balance due back over the course of your Chapter 13 repayment plan which is three to five years total. Tax liens and other forms of nondischargeable tax debt can drastically complicate a bankruptcy case. Additionally, if the IRS has indicated that it plans to place a lien on your property, time is of the essence. Depending on the age and type of tax debt you have, a bankruptcy may be able to discharge the debt and save your home from being sold to satisfy a tax lien. Contact a Houston, TX bankruptcy attorney immediately to find out your options and protect your legal rights.